It has been indicated that technologies are what make us feel more pressed for time. Not the kind of pressed for time where a deadline is near and you somehow manage to do the work of three days in one day. We are talking about the kind of pressed for time where you always feel that there’s not enough time. The kind of pressed for time that has been shown to significantly reduce work engagement. 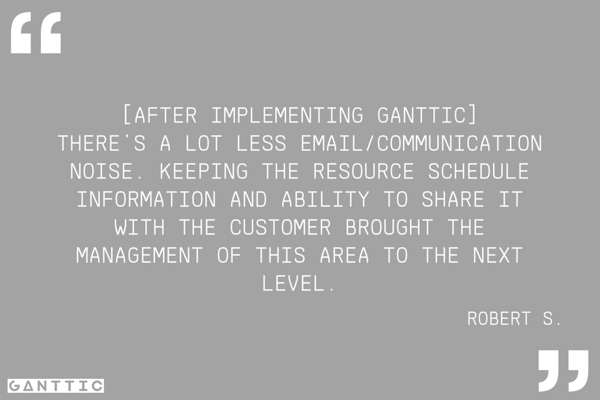 Us at Ganttic believe, that there is a type of technology, that can help you feel less pressed for time in the long run - that’s resource management tools. 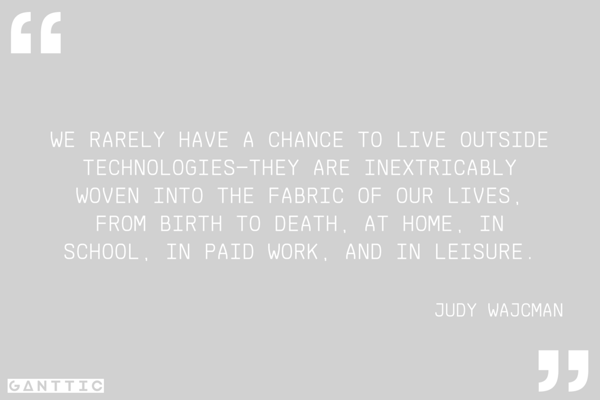 In her book 'Pressed for Time: The Acceleration of Life in Digital Capitalism' Judy Wajcman says that we feel more rushed, harried, anxious, and pressed for time than ever before. Interestingly, she also notes that the total amount of work time has been stable over the last fifty years. According to her, what has changed, is the number of technologies we have in our lives. And it’s those technologies, that keep us connected at all times. There’s almost never a time in our day when we are living outside technologies. This connectedness is what’s making us feel subjectively more pressed and anxious. While objectively, we are still at work for 8 hours a day. How is subjective and objective time different? Meet Emma. A project portfolio manager that is coordinating the work of 11 project managers. She is in control of about 40 on-going projects. She’s also in charge of resource scheduling and utilization forecasting. It’s a Monday morning. Emma has just arrived at the office. The subway was packed. Although it’s the same every morning, it still manages to make her a bit anxious. She steps to the elevator, quivers thinking back to it and then she’s unpleasantly reminded that the elevator also feels more like a can of sardines than an actual elevator. Getting that intimate with total strangers just isn’t her cup of tea. Actually, on a Monday morning, any cup of tea isn’t her kind. That’s why she makes her way to the office kitchen. Luckily, the kitchen is empty. There isn’t a line to get the coffee or a need for small talk. The last Monday comes to her mind when she was interrogated for details about her weekend right then and there, without even getting close to what she was there for. The coffee, that is. She stretches a bit to enjoy the space around her. She takes her cup from the self. It’s not the most professional looking cup, but her spouse bought it for her, and even if she denies it, she does find it funny. She double-clicks the espresso button - she knows, she’ll need it. While the machine is buzzing, she checks her phone to see the schedule for the day. There’s a meeting at 10 AM with an aim to go over the week and any new project proposals that have been made. It’s always a mess. How’s anyone supposed to understand the spreadsheet schedule nightmare you have created, Jeremy? The email thread that she had with the project managers makes a rude appearance. She’s reminded that the problem with a piece of equipment was not solved on Friday. She needs to get back to that. Oh, and the reports. She needs to get to the reports as well. The coffee machine stopped buzzing minutes ago. She grabs her double espresso and walks to her office. Since her brain decided to surprise her and actually remember something without writing it down, she opens her email. How are there 24 new emails? It was the weekend, people, come on. She goes over the mailbox with her eyes and stops on the thread that she was thinking about earlier. Now she’s wondering if she should reply to that other email before or… No, she gets to that allocation problem first. Does that make sense? How many of the 24 emails is it possible to reply to in an hour? It’s getting close to 10 AM now, Emma has answered 14 emails and deleted 5. She is thinking that she can make time to answer those last 5 after the meeting. She makes her way to the meeting room. She greets everyone. As she is sitting down she is contemplating if she packed lunch or if that’s just a hazy memory from last week. As the meeting starts, she peeks into the schedule and is reminded of the reports she has to conduct. Is there going be enough time for both the emails and the reports? That’s how subjective time works. We are in the present, future, past, and then present again. In addition to that, we tend to add more value to some moments (moments that are filled with more emotions) than others. The same story can also go something like this. Emma got to the office building at 8:45 AM on a Monday morning. She was in the kitchen from 8:49 to 9.01 AM. She spent 13 minutes browsing her mailbox. Then she spent 40 minutes replying to the email. At 9:54 AM she made her way to the meeting room. The meeting started at 10:06 AM. That’s objective time. It’s always linear. All the moments have the same value, and it’s the same for all of us. Objectively, it shouldn’t matter for Emma or for you, or for anyone else how much is spent on email. But subjectively, these little eruptions, especially emailing, is bringing a lot of noise to our lives. We can’t really plan time for it since we never know what’s waiting for us. If something is left undone, it’s in the back of our minds. Where Do Resource Management Tools Come In? According to a survey, we spend about 24% of our time at the office on email and admin tasks. Simultaneously, the same survey also says that we perceive excessive emailing and wasteful meetings as our biggest productivity blocks. A big portion of project portfolio and project managers’ time is spent on planning. If there isn’t a central resource management tool, the planning means things like filling in spreadsheets, sending the spreadsheets out to the team, the other managers, and the upper management. After that part is done, the planning also entails answering all the questions regarding the spreadsheets. And there are always questions. Even if it’s not spreadsheets, it’s multiple calendars and calendar applications that aren’t bringing all the information together but are scattering it even more. Working with a general resource pool (staff, equipment, machinery, etc) but no central resource management tool will bring about miscommunications, overbooking, and overlooking resources. Solving that kind of problems requires even more time and even more emails. If the constant emailing back and forward doesn’t solve it, there will be meetings. And remember, if there’s anything that your team hates more than excessive emailing, it’s wasteful meetings. Is there really less email noise? 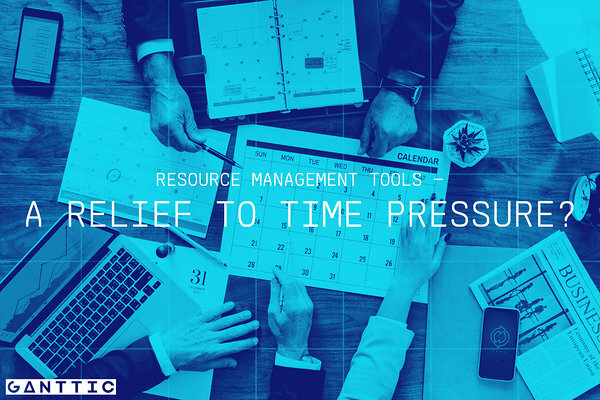 Resource management tools allow you and other managers to schedule the same resources at the same time. The live updates keep everyone posted about any changes in the schedule. If a piece of equipment is already booked for another project, you’ll know it without having to wait for the updated spreadsheets. If your consultant is free, you’ll see it. You can book them with another client, without having to remember when the project was finishing. You don’t have to go through your mailbox to find the right documentation. You’ll have an overview of everything that’s going on. In a perfect world, for Emma, it could have been a different kind of morning. She’d still be a bit anxious about the train situation, but she could have easily enjoyed her coffee without being reminded about the project managers fighting about the resource that was double-booked. She could have done the reporting on Friday because there wouldn't have been a situation to get into. She wouldn’t have to be feel pressed for time to get through her actual assignments. Adding a resource management tool to your management toolbox won't make it any heavier. It would exclude the spreadsheets and Gantt chart templates. It would bring the information from different calendars to one place. You could schedule people and equipment using the same software. Implementing a resource management software wouldn't actually solve the issue of feeling pressed for time. However, what it will do, is help you take a huge step towards less email noise and more predictability. Are you looking for a resource planning tool? Try Ganttic for free!